In 2001, Leveking was established. In 2002, “new enzyme preparation – alkaline lipase” was included in the project of Key Promotion Plan for National Scientific and Technological Achievements. In 2003, lipase for flour improvement was successfully applied in the first enterprise of flour improver. In 2004, paper-making Industry Bio-tech and Clean Production R&D Center was established through cooperation with SCUTechnology. In 2005, Leveking became a pioneering enterprise in China which export lipase used for flour improvement. In 2006, bio-enzymatic deinking agents were successfully applied in kraft manufacturers both in Fujian and Zhejiang Province. In 2007, “the R&D project of alkaline lipase used for waste paper deinking” wonTechnological Innovation Award in Shenzhen for the Year of 2006. In 2008, the first enterprise in China granted with “Production license for lipase used for feed” by Ministry of Agriculture of P.R.C. In 2009, Leveking was recognized as “National High-tech Enterprise”. In 2010, Shenzhen Leveking Bio-engineering Co., Ltd. officially set up strategic partnership with Tiantu Capital Co.,Ltd. In 2012, continue to introduce Jutian Capital. In 2013, honored as “TopTen New Material Enterprise Most Worthy Investment In China”. 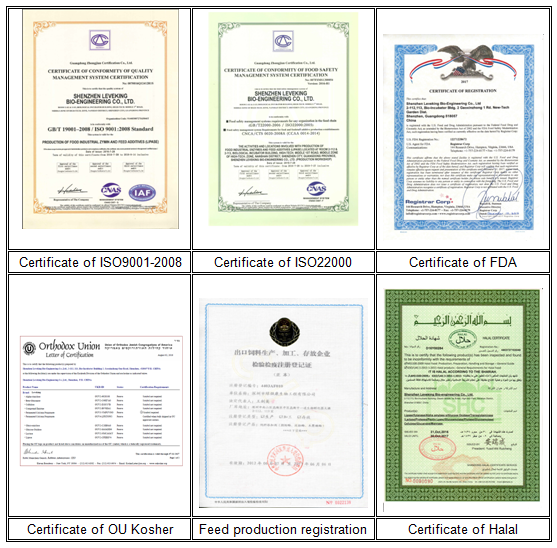 In 2014, established Shenzhen Leveking Animal Nutrition Co., Ltd. and authorized by the government to found Shenzhen Nanshan Enzyme Engineering Research Center. In 2016, established Leveking Anhui Production Base. In 2017, established Leveking Biotech Co., Ltd. Since its inception, LEVEKING has continued to advance and have received abundant fruits—got great reputations from public and won multinomial rewards from domestic and abroad, with its strong R&D power and industry transformation ability in the enzyme field.